As a science reporter, I’m a supplement skeptic. I know most supplements don’t work and that lax regulations mean that supplement makers sometimes put out products that are poor quality or even unsafe. And yet, ever since my hair stylist mentioned to me a few years ago that she’s noticed clients who take biotin really do see their hair grow faster and stronger, I’ve religiously popped a biotin capsule every day. It was unlikely that the vitamin did anything, I told myself, but it was also unlikely to harm. A scant chance of stronger hair and nails seemed worth the relatively low cost. I know many similarly supplement-skeptical women who do the same. It turns out, though, that there may indeed be risk associated with taking biotin, aside from those typically associated with taking poorly regulated supplements. This week, the FDA issued a warning that it can interfere with the results of certain medical tests. Biotin, sometimes also known as vitamin H, is a B complex vitamin found commonly in multivitamins (especially those for women), supplements for hair, skin, and nail growth, and prenatal vitamins. The issue is that those products can contain biotin levels up to 650 times higher than the recommended daily intake. The FDA notes that recently there has been an increase in the number of reports that the popular supplement has skewed test results, causing falsely high or falsely low results depending on the test. Many lab tests use biotin technology as part of the test because it can bond with specific proteins that can be measured to detect certain health conditions. It’s often used in hormone tests and tests for markers of cardiac health. In one case, the FDA said, biotin seems to have interfered with a test for troponin, a biomarker used in the diagnosis of heart attacks. A falsely low troponin test resulted in a missed diagnosis in a patient taking high levels of biotin and the patient died. The agency has released new recommendations for doctors, lab personnel, and consumers. 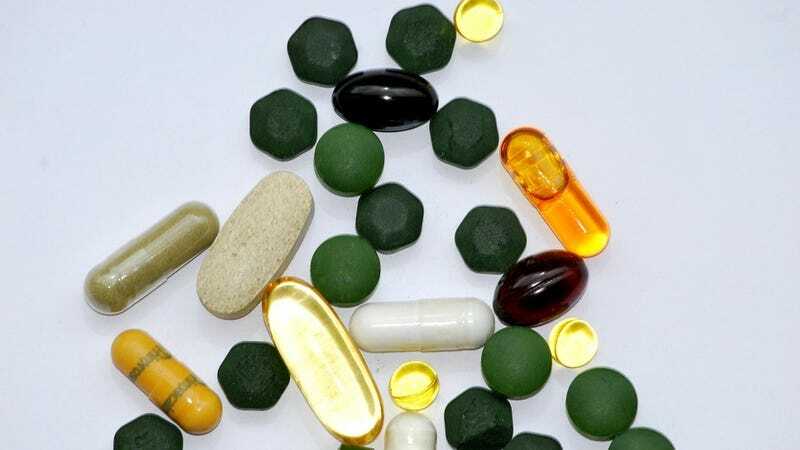 It urges consumers to talk to their doctor about supplements they may be taking, and be aware that some supplements may have high levels of biotin even if those levels are not clearly labeled. In the mean time, the best advice might be to just quit wasting your money on supplements.